Award-winning websites, branding and marketing—all under one roof. Our all-star team works hard to deliver results, so you can sit back and measure your gains. Want to stand out from the crowd? We know how to get you noticed. Small Dog Creative pours over 50 years of combined experience into every website and marketing campaign we work on. We recognize that each client has marketing needs that are as unique as their brand. Small Dog Creative pours over 50 years of combined experience into every website and marketing campaign we work on. We recognize that each customer has marketing needs that are as unique as their brands. Every website is built around a fresh strategy for your unique customer experience. We look at what works and then create an impactful design and online sales path that will convert visitors into buyers. It’s more than just a website, it’s your online salesperson and customer service rep all rolled into one. Our sites are custom and completely thought through. We excel at e-commerce, search engine optimization, content marketing and copywriting strategies. From the landing page ‘wow’ factor to the entire user experience, Small Dog Creative knows websites. Are you spreading yourself too thin by trying to tackle updating your own website, or overloading your design and marketing team? We offer customized programs that give you access to our dedicated team of talented pros. Our retainer programs tap into exactly what you need for that extra boost of support, producing better results at a faster pace. Get your time back to focus on the big picture objectives. Give us a call to learn what we can do for your business. Small Dog Creative is a boutique marketing agency that exudes passion and professionalism. From the moment you walk in the door, you can instantly tell that each of us truly love what we do. Our team loves creating successful strategies and watching our clients’ businesses grow. While our home base is in the Santa Clarita Valley, we work with local and national B2B and B2C companies from every industry. Come by to say hello and see why people prefer working with the Small Dog team. There is a lot more to a successful website than just good web design. We start from the beginning, asking you two simple questions: Where is your business now? and What is your vision for your business in the future? From here we develop a plan for your website and get you on the path to making that vision a reality. RETURN ON YOUR INVESTMENT… Websites are marketing tools and virtual sales-people for your business. With professional designers and SEO (search engine optimization) strategy in place we focus on getting traffic to your website and creating visitor confidence by presenting your business at its best. WE GIVE YOU CONTROL… Our content management system (CMS) allows you to make changes to your site and give your site a strong foundation for the future. You can also login to check your traffic, sales or email marketing campaigns. 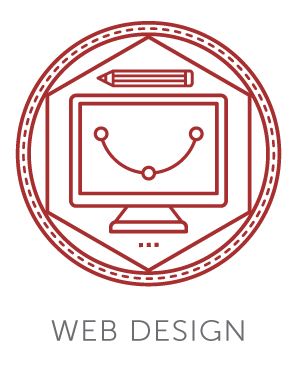 We are a Santa Clarita web design and graphic design company, serving the greater Los Angeles area. We specialize in creating professionally designed and programmed web sites that have the tools business owners need to develop their company and grow their business online. Your business website is representing your company 24 hours a day, 7 days a week. It is vital that your website displays your business in the best possible light. Our Santa Clarita Valley web design company works with small businesses across the country, giving them professionally designed and programed websites. We look forward to getting to know your business and helping you take your company online. There are a variety of Santa Clarita web designers and Santa Clarita web design companies in the area, but few have our track record and extensive client list.